We are OFTEC Registered Technicians for oil heating systems – registration number C2763. As such, we are trained to government recognised standards and inspected regularly to ensure that we maintain those standards. We are a CHAS Accredited Contractor. This accreditation shows that we have demonstrated compliance with the CHAS standards in line with SSIP Core Criteria and UK H&S Legislation. View our Certificate here. LW Haddow Heating and Plumbing is listed with Gas Safe Register – registration number 35039. This means that we are certified to work on gas fittings and appliances. SELECT is Scotland’s trade association for the electrical industry. Being an accredited member of SELECT, ensures that we are a quality electrical contractor backed by a Code of Practice. We are also an approved member of SNIPEF (Scottish & Northern Ireland Plumbing Employers Federation). As a member of SNIPEF, our business is inspected on an ongoing basis. We employ properly qualified and trained staff, and hold Public Liability Insurance. The MCS certificates microgeneration technologies used to produce electricity and heat from renewable sources. MCS is an internationally recognised quality assurance scheme which demonstrates to customers that installers are committed to meeting rigorous and tested standards. Worcester manufactures heating and hot water appliances for the home. They provide oil and gas condensing central heating boilers, solar water heating panels and heat pump solutions for all aspects of home heating. LW Haddow are proud to have been an accredited installer for Worcester Bosch, since 2004. As a supplier of heating appliances in the UK for over 45 years now, many people have come to rely on Alpha to satisfy their daily heat and hot water demands. Their range of high efficiency gas boilers includes combis, system and regular boilers as well as a wall-hung storage combination boiler. The Rayburn Guild is a nationwide network of authorised dealers and independent engineers committed to providing a first-class installation and after-sales service. We are a Rayburn Guild member who can provide accredited and fully trained engineers who specialise in installation, servicing and repair of Rayburn and Stanley products. The Green Deal helps you make energy-saving improvements to your home and find the best way to pay for them. LW Haddow are a Green Deal Approved installer. 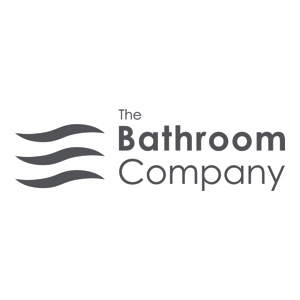 You may not be aware, but our sister business The Bathroom Company, also based in Perth, designs and installs fantastic bathrooms. These range from the most functional, making use of the smallest space, to the utterly fabulous indulgent rooms. If you’d like more information, please call 01738 620 046.